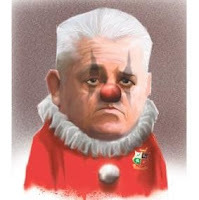 TOTAL FLANKER...a rugby blog: Oi, Gatland - NO! “I spoke to Billy and he just felt he couldn’t give us 100 per cent. “It [Vunipola’s shoulder] was popping out during games and being strapped. So what Gatland is saying is that a player should put his long term health and fitness at risk if he is asked to do so, and the fact that Billy wasn’t prepared to do that is a sign of lack of commitment? "he just felt he couldn’t give us 100 per cent." It seems that Billy himself expressed that he couldn't give total commitment. Gatland seems to be doing no more than summing it up. Disagree. There's an implied criticism in what Gatland said - bang out of order in my view.